This week the Outlaw Chest has arrived and includes exclusive Skins for Caspian, Hattori, and Asuri for a limited time! We’re also continuing our Luck o’ the Brawl festivities with daily bonus Gold, Lucky Clover Colors, and more. The new Ranked Season 12 will be launched next Wednesday, April 3rd. 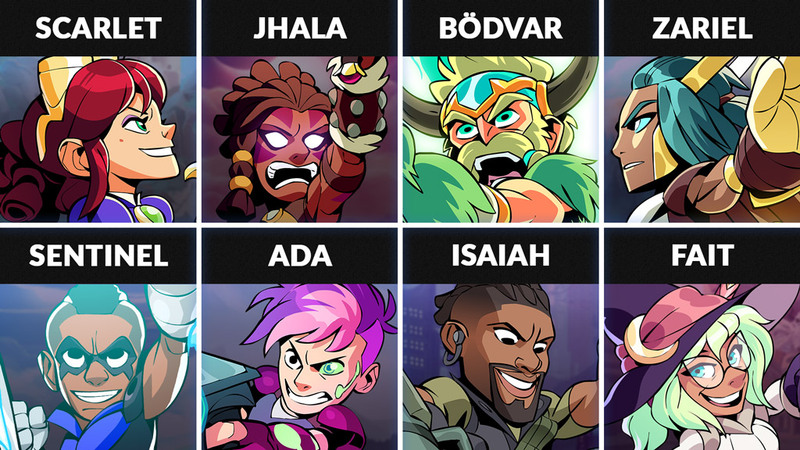 Additionally, this week we’ve updated the Brawl of the Week, changed items on sale in Mallhalla, and updated what Legends are on the free-to-play Legend rotation. The Outlaw Chest has arrived and comes with exclusive Skins for Caspian, Hattori, and Asuri for a limited time! Three exclusive Skins: Aces High Caspian, Sidewinder Hattori, and Badlands Asuri. Inspired by the wild, wild west and the epic duels during high noon. Be the fastest Blasters in the West with these exclusive Skins! Queue up against 2 other Players in a 3 minute FFA game. Score 2 points for KOing an enemy, lose 1 point for being KO’d. Can you survive the ever shifting alliances and score the most points at the end to win? 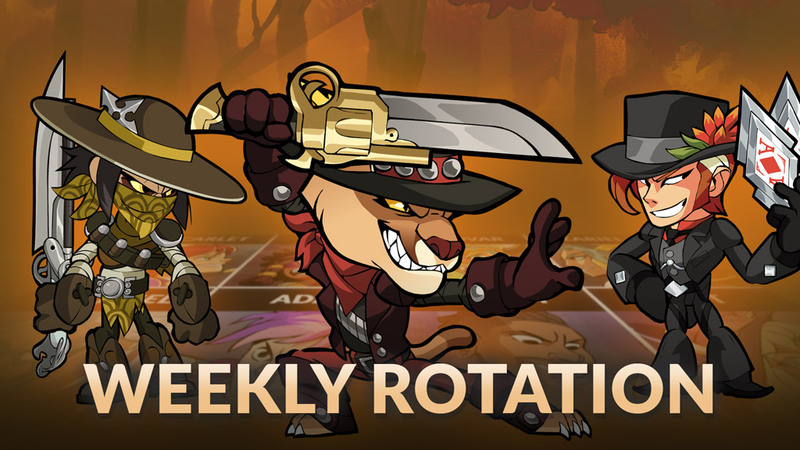 The new Legend rotation for this week includes: Scarlet, Jhala, Bödvar, Zariel, Sentinel, Ada, Isaiah, and Fait. Fait – Speaking to the stars and using glimpses of the future, Fait battles for good with her Scythe and Orb!